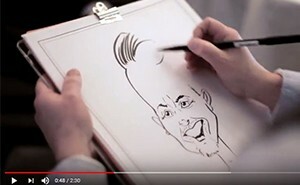 So what's all this drawing funny faces about? 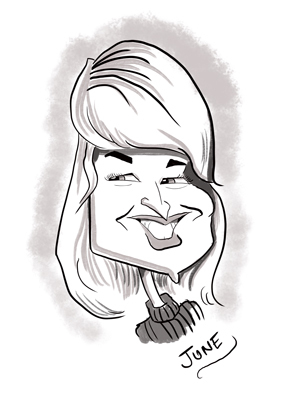 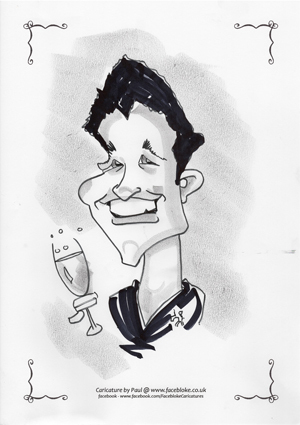 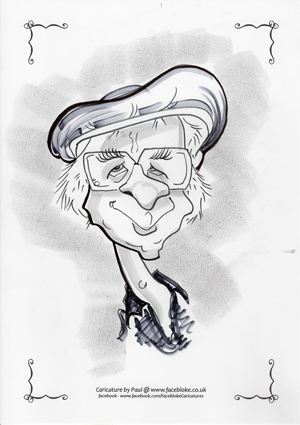 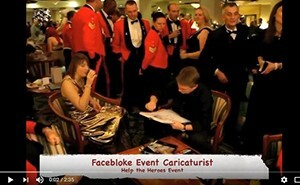 Entertaining your guests with a caricature artist is such good fun. 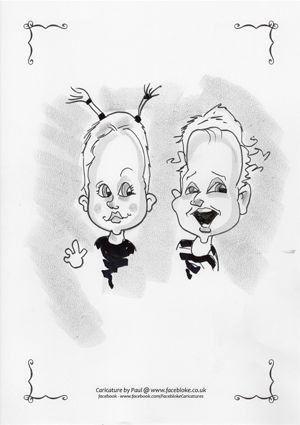 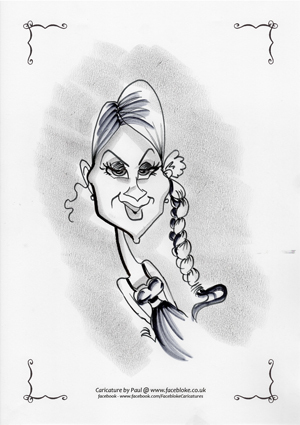 My caricature style is certainly not cruel and whether you're 5 or 105 you'll get a caricature which you will want to keep! 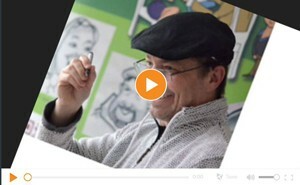 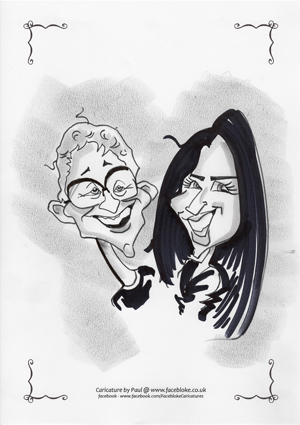 Working Live I can offer both digital caricatures using an Ipad and Screen plus printer or the traditional paper route. 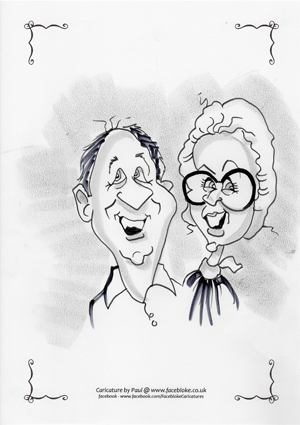 Both work well and it really depends on which you prefer! 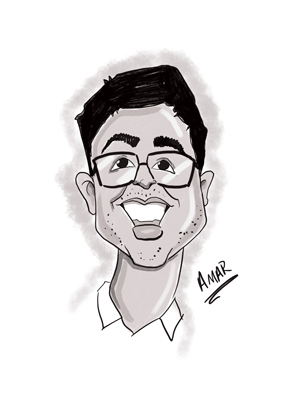 I can walk around mingling with people or be sat in one place where people can come to me, the queue is also a good way for people to chat whilst they watch so it's a good way for people to mix. 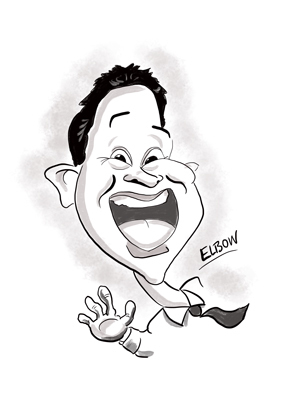 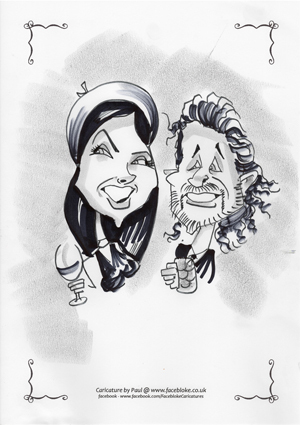 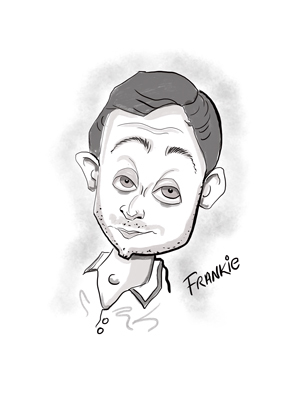 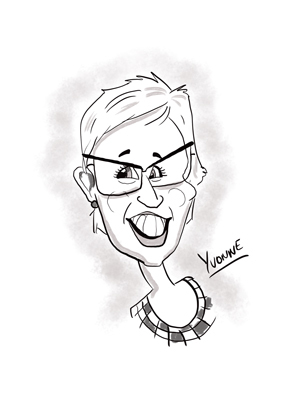 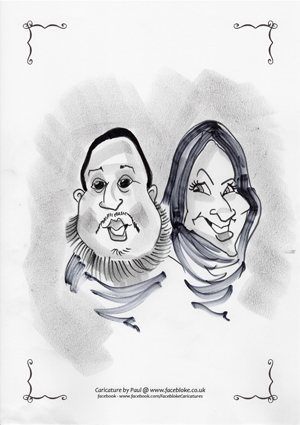 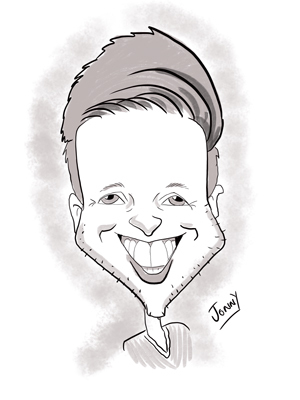 My traditional style caricatures in black and white with a little tone take around 3 mins per person and full colour is about 7, you can choose which you want, feel free to ask me what would fit best with your event.